Once upon a time networking was a new idea. Well, maybe not the idea but the label certainly was. Sure, people have been forming bonds and making connections in the marketplace for as long as there have been marketplaces. But attending a networking event and ‘selling’ yourself has only become part and parcel of our vernacular in the last 20 years or so. And now that it's taken hold it's vital to our career success. 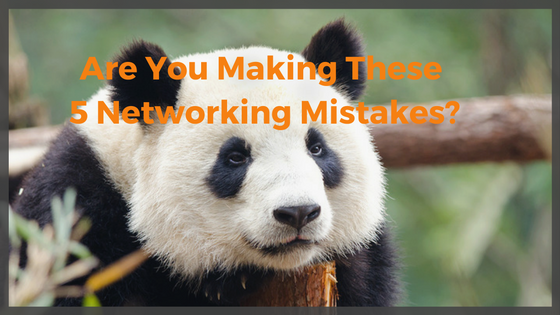 The last thing you want is to make any networking mistakes. Okay, so when we ‘network’ what we are really saying is that we have an underlying agenda where we are after something. Usually we want the people we meet to help us in some way. Basically, we would like the people we meet to help us in our career and lives. This is fair enough - however, going to a networking event and spending all of your time trying to ‘sell’ yourself or whatever your company offers isn’t particularly useful. After all, wow many people are there to ‘buy’? Go there to get to know the people around you. Don’t shove your life story or current major problem or need in their faces. They don’t know you yet so they aren’t going to help you if you just ‘sell sell sell’. No-one likes a salesperson – so don’t be one. Networking is not about the number of contacts you have. Do you have 5000 facebook contacts? 6000 linkedin connections? Maybe a couple million business cards and a few zillion email contacts? Networking is not about collecting the largest number of names you can get, unless these are people who are going to help you when you drop them a line. When push comes to shove and you ask them for help – what will happen? Will they remember you? Will they care? Or are you just another number in their database? Networking well and building up useful connections is all about having real world connections with people. People only want to help you if they know you, trust you, respect you. If you are just a number – you mean nothing. If they are just a number – what’s the point? How many times have you had people try to connect with you simply to ‘network’. How many invitations on LinkedIn or Facebook do you get from people wanting to ‘widen their network’? And if you join their network – then what? Will you become good mates and help each other out? Do they know you and do you count as anything more than a number to them? Now, of course in some cases there is something genuine there – but we have to use our judgement to think before we click. What about meeting and greeting people IRL? Well if you’re being genuinely interested in getting to know the people around you then you are more likely to build a useful connection and grow your network effectively. If you are simply building a network superficially so that you can call on them when you want something and you don’t really care about them as individual, unique, talented people, they’ll suss that out and not really like you for it. Even before you set out to grow your network, you've got one- a large one. Chance are you already know many interesting and talented people - people you met at school, university, through friends, family, extended family, friends of friends, work - een that job at the local pizza place. May of these connections have likely gone on to lead diverse and interesting lives -- their experiences and interests varied and vast. It can be very easy not to realize just how many people we really know or just how valuable our network actually is. Maybe you know or have come across many people but you do not really ‘know’ them. Why not spend some time getting to know them. Dig deeper. Find out what makes them tick – what experiences they have had, what they have done in their careers, who they hang out with, who their mates, family, friends are. You are closer to getting what you want and meeting whoever you need than you think. Your friend's brother, dad, second cousin, next door neighbor could be just the person who could help you. So do not dismiss or forget about the people you already know. Get closer to the network you already have, form deeper relationships with them - you never know who you may come across. People want to help those who help others. And people want to help those who help them! So if you just take, take, take you won’t continue getting for long! Don’t make the mistake of just calling people up when you need something. Also don’t make the mistake of expecting those you ‘network’ with you give you whatever you want, when you want. It’s not all about you! If all you do when speaking with others is talk about what’s on your mind -- what you need, what you’re after, how they can help you, what you care about – it’s a one sided story! Remember: networking is a transaction that takes place in the marketplace - in order to get something you have to give. So next time you are meeting someone new, or reconnecting with an old acquaintance, stop and listen for their pain points. Offer to help wherever you can. You might not think you have much to offer, but if you really stop to listen you very well might realize you have a useful contact to offer, or recommend a product you find indispensable. Engage, Connect and above all Listen! If you'e ready for a new job, or just thinking about what might be out there for you, give us a call. 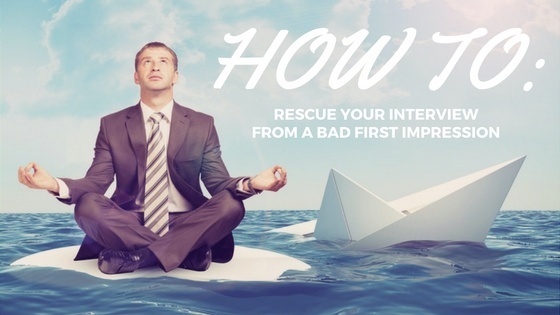 We often think our first opportunity to make a good impression is during the pre-screen phone call, or when we walk into the office for an interview. But the truth is, employers, recruiters, even customers are checking us out online long before the point of first contact. Your LinkedIn profile very well may be optimized and vibrant, but people are looking for social proof that what you say about yourself is true. And if you're not optimized yet, read here and here for how to get the most out of your profile. Just as like the restaurant in Duluth that claims to make the best pizza needs reviews on Yelp to validate and support their claims, you need recommendations to bolster and shine your reputation. Choose Who Do You Want To Ask from your contacts. You can choose up to 3 contacts at a time, but I'd caution you against it. Personalize your request and avoid the automated asks. Endorsements on LinkedIn are the equivalent of a thumbs up on your profile. They’re a friendly way of saying, ‘yes this person does what they say they do.’ But they don’t carry much weight. So while you might collect endorsements from anyone who clicks an automated prompt, recommendations are a different animal, and need to be well considered. Ask people who know you well, who’ve been in the trenches with you and have seen you shine. Someone who has seen you step up in a crisis, sat on a committee you led, or co-managed a project with you is best equipped to speak to your strengths. Bonus Points: Recommendations also show up on the profile of the recommender as searchable text, thereby further increasing your social currency. Once you’ve identified who to ask, now you need to get specific. While you can use the LinkedIn tool to make contact, we’d recommend that you write a separate email. There’s a better chance of your request being seen via direct mail, than through LinkedIn, and you want to avoid generating several asks. When composing your note, know that a generalized “will you write me a recommendation” will, at best, garner you a generalized note, leaving you with enthusiastic, yet horribly generalized recommendation. While well intentioned, these kinds of recommendations leave you sounding the Manchurian Candidate: “Raymond Shaw is the kindest, bravest, warmest, most wonderful human being I’ve ever known in my life.” A faceless,non-specific "great" guy. Remind your recommender of a specific problem you solved for them, or the time you took the lead on a particularly difficult project. Giving them guidance on what skills or traits you are looking to be recommended for will help them craft a more meaningful letter. 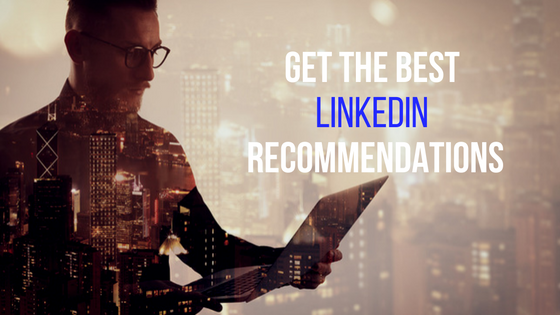 Pro-Tip: Recommenders must be a 1st degree LinkedIn connection for their words to carry the weight you need them to. You want the recommendations to reflect the breadth of your career, so ask an equally wide variety of people in different capacities. Think about former managers, colleagues, customers, project team mates, and yes C-level executives. 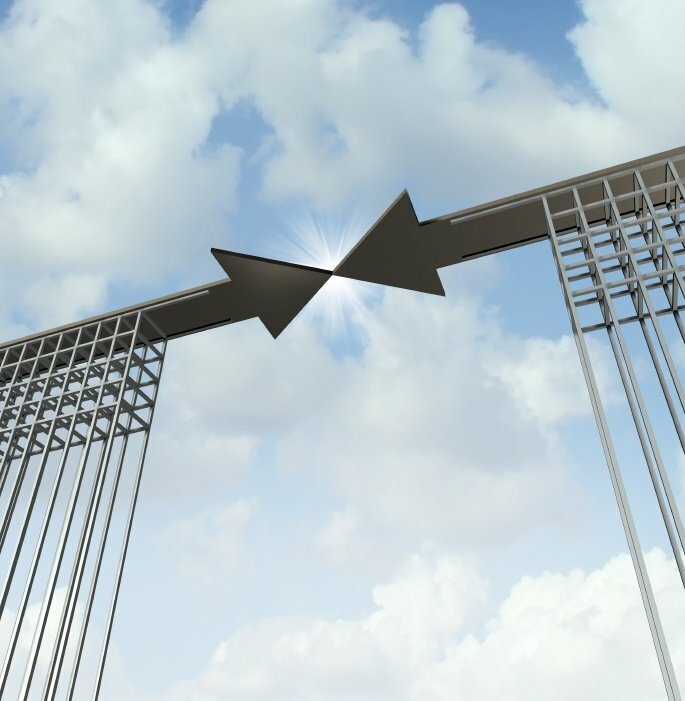 While C-level executives are valuable recommenders, though leaders can be just as powerful. Be certain to also consider contacts outside of work, perhaps people who have done service with you in the community or other volunteer work.You want to present the well-rounded person you are, so make sure to cover your work life from all angles. Bonus Points: Recommendations also show up on the profile of the recommender as searchable text, thereby further increasing your social urrency. While your contacts may be more than help to take the time to write about you, it is time out of their day. Once you’ve received the recommendation, and seen it go live, take the time to write to your contacts to thank them. An email is lovely, but a handwritten note is even better. And always offer to return the favor. Not everyone is comfortable asking for other people’s time, so make it easy for them to get a piece of yours. And always be certain to act in a timely manner -- don’t wait for 3 weeks to pass before extending your gratitude. When you get the right kinds of recommendations from the right kinds of people, you're well on your way to providing that all important social proof and enhancing your online brand. First impressions matter. In fact, they are more powerful than facts. Research has shown that we form our most lasting impressions of someone within the first 5 seconds of meeting them and that we rarely change these initial ideas even in the face of hard evidence. 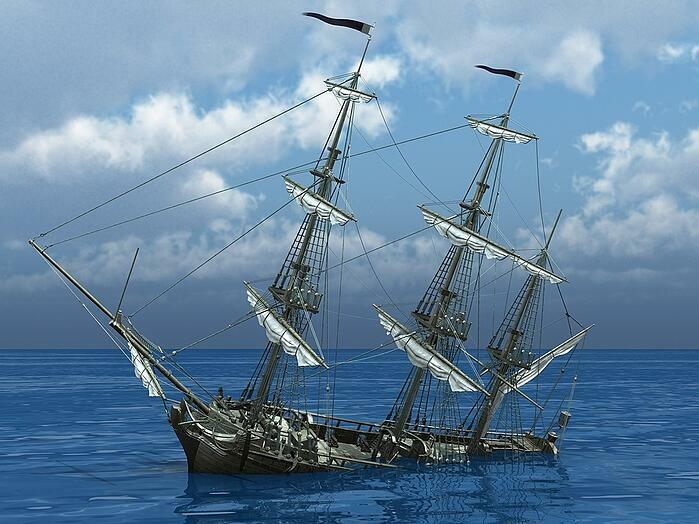 Prevailing wisdom dictates that it takes at least 8 positive interactions to overcome a bad first impression. And while that may sound insurmountable, the good news is there are some things you can do to hit the reset button and reverse your losses. 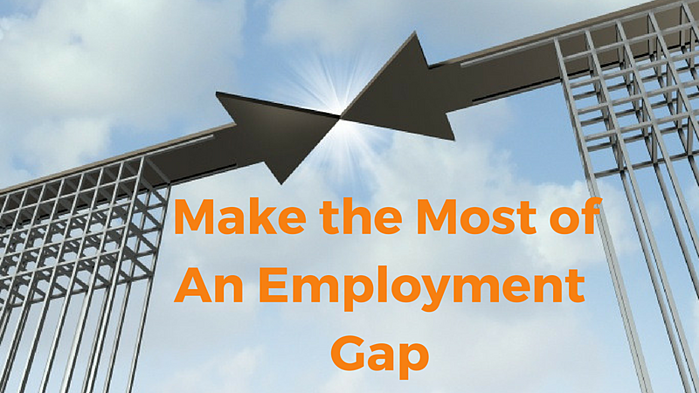 Now is the time to return the full force of your focus on the interview. Leave the mistakes behind and communicate in an open, expressive manner. Let the interviewer see who you are and your core competencies. Shine a light on what you bring to the company and try to help them see you in a new. Aside from wearing neutral black next time. Let me ask you: Have you ever attended a networking event, met a new contact, enjoyed a really interesting conversation, exchanged business cards or contact information, and then… never followed through with reaching out the them after-the-fact, despite your best intentions? Is that you? Whether you are seeking a new job opportunity, career advancement, or growing a business, intentional and effective networking follow-up with help you succeed. 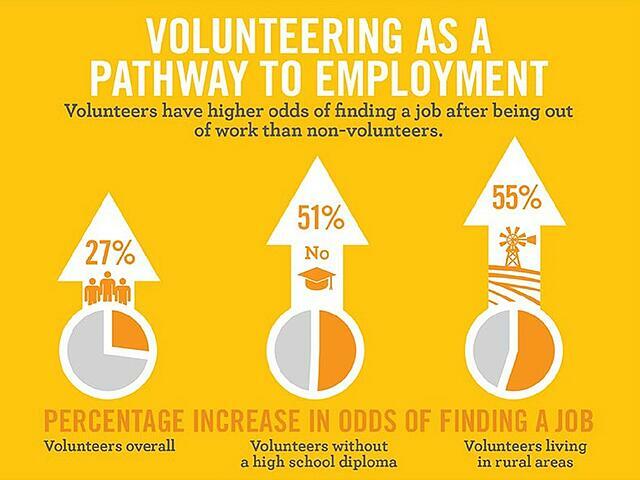 According to a study done by CareerXRoads, more than 27% of external hires in America are from referrals. In fact, it’s the top external source of hires today. According to the New York Times, 65% of new business comes from referrals. A Nielsen Study cited clients are four times more likely to buy when being referred from someone they know and trust. 1) Google your new contact: You would be amazed at what you can find by Googling a person. You can find additional information to help you with reasons to connect—or to NOT connect. This info can help with all steps on this list. 2) Write down some notes: Shortly after the event – same day, if possible – make some notes on what happened, record your thoughts and create a list of actions to implement. 3) Compose an email: Write an email indicating that you enjoyed meeting them and why it makes sense to continue the connection or further the relationship. 4) Begin a dialogue: You’ll want to stay in touch, if no need to meet again—start by asking them what they thought of the event via email. 5) Connect on Social Media: Send your new contact a LinkedIn invitation including a note that you enjoyed meeting at the event where you met. Follow them on Twitter, which can provide real time data to improve the content of your communication. If you see a personal connection outside of work and/or it makes sense, connect on Facebook. 6) Offer a Phone Date: Via email, suggest a 15-minute phone call, but sure to clarify the purpose of the call and how it can benefit you both to do so. 7) Even better! : Here’s a novel idea… just call the person. Let them know that you enjoyed meeting them and would like to keep the conversation going. Ask if they prefer to schedule a phone chat or coffee meeting as a follow-up. 8) Meet face to face: Propose a face-to-face meeting over coffee right out of the gate with contacts that have the most potential, who interest you most, or simply where it makes sense. Show interest in what they do and who they are. 9) What NOT to do: Do not automatically add them to any email list you may have! Instead, send an email asking if they would like to join your email list since you thought, based on your conversation, the content may be of interest. Don’t spam! 10) Add their info to your contact management system: A contact made today, may not bring you business today, but that person may be the resource you needed (or needed you) for a situation in the future. 11) Look to influence: See how you can introduce two people who can help each other and ask to make that introduction… it’s good karma, as you are always remembered as the person who made the introduction. 12) Say ‘thank you’: Thank the host of the event. This is a great way to start a connection that you did not have before. 13) Reach out within two days: Ideally, make contact within 48 hours, but don’t fail to reach out if it is later than that time frame. I have reached out 6 months after the initial meeting and have it turn out well—but this is not recommended at all!! 14) Seek out influence: Look for people who can influence your business or job search—not just give you business or hire you. Influencers are more impactful than direct clients or hiring managers, since they introduce many opportunities. 15) Look for collaborators: Search for collaborators and joint venture partners. The best way to grow is by collaborating with others. 16) Send them something: Sending an article or book reference in an email or snail mail, relevant to something you discussed will show that you listened to the conversation. Networking can take time and energy if you let it, or it can be assimilated into your daily activities with a simple change in mindset to be more effortless. A small, consistent investment of time each week can pay off huge dividends in the future for you and your network. Take some of the actions above and see the good that happens….Good luck! Making your resume mobile friendly does not end your mobile branding efforts. The information you use for your resume can be a springboard for creating your mobile-friendly LinkedIn Profile and your branded.me page, which feeds off your LinkedIn Profile content. Being mindful on how your information appears on mobile phones and tablets will ensure audiences see you as a detailed marketing-savvy exec, no matter what your discipline is. Making yourself attractive to employers online and marketing your company’s ability using, for example, your LinkedIn Profile is becoming one and the same and no longer compartmentalized tasks. Savvy executives know competitors are attracted to job search candidates that demonstrate the behavior they want to see in their own organization. Using your brand to include some aspects of your personal life in your online presence can be effective to getting staff to see the executive as a regular person, as well. The lines are blurring. 2016 Executive Personal Branding Trends #3: Relevant Digital Presence – Why are you on it? Don’t be on a social media channel just to be on it. Ask yourself why you are on it? Who are you trying to attract? I often see busy executives on a social media channel that does not make any sense to me. Their target audience (i.e. hiring manager, recruiter, potential recruit, and prospect) does not hang out there, so why are they working to build a professional presence there? It is important to look at who you are trying to attract and know where they hang out…and then be there! 2016 Executive Personal Branding Trends #4: With all the new, do not forget the traditional. Some have said to forget your resume. I say forget your resume and kill your career. Why? It’s the resume process, the process of vetting relevant achievements and developing one’s personal brand, which is the basis of all of these branding mediums and their elements. Even if you do not send the resume to everyone, doing the exercise gets challenges and achievements flushed out to focus on the relevant ones—enabling you to come across as a forward thinking executive and not simply a senior executive spewing their history to impress for no reason. If you are only putting content out there, then you are producing content. If you take the time to comment and share other’s content, then you are fostering engagement. Effective personal brands engage on other’s platforms, answer back comments on their own platforms and product content. Be aware of oversharing, yet being real is important. Being a one-way street content producer does not enhance a personal brand. Many executive branding blogs talk about having an About.me page, your own personal website and a personal blog, whether you do that on LinkedIn Publishing or your own URL Blog. Some of the newer mediums on the scene (or older mediums now becoming mainstream for executives to use) involve video, live streaming and more interconnected static pages such YouTube, Facebook Video, Blab, Periscope and Branded.me pages. You may not need to be on all or any of these mediums. Being aware of the ways to reach your target audience though (candidates for hire, vendors, clients, prospects, employees, etc) will enable you to employ a tactic quickly when needed. Looking to update your resume and LinkedIn profile? Not sure where to start, or maybe you feel you need a fresh set of eyes? Consider our Ultimate Resume and LinkedIn Profile Audit.